Learn how to create an effective post in WordPress. What Types Of Content Can You Add To A WordPress Post? The content below is from The Complete Step-By-Step WordPress User Manual, a comprehensive WordPress User Manual for non-techies that includes 500+ pages of searchable, printable, and detailed step-by-step WordPress ‘How To’ checklists, cheatsheets, tables, and flowcharts covering everything you need to know to use your WordPress site (no coding skills required). Depending on how your site's settings and plugins are configured, you can also add "meta" text to posts (e.g. titles, keywords, and descriptions for search engines), create custom excerpts, etc. Add and/or embed media content into WordPress such as​​ images (photos, logos, graphics, banners, etc), videos, audio files, downloadable files (e.g. PDF documents), and more. Some scripts allow you to control content on your site from an external or remote location (e.g. managing advertising banners or subscription forms). Note:​​ Content can also be added to Posts by inserting code directly into WordPress file templates. This method, however, requires​​ coding skills (e.g. knowledge of PHP). Review your Content Marketing Strategy. Decide who will write the post content (e.g. you, in-house staff, outsourced writer, etc). Why will you publish your content as a ‘Post’ instead of a ‘Page’? Complete the above items and tasks before moving to the section below. Review your ‘Post Notes’ file. Research articles and blog posts on search engines and competitor sites. Write/gather descriptions & summaries for products/services. Upload content to WordPress media library if storing media on your server, or Cloud storage application (e.g. Amazon S3) if storing media externally. Copy and paste media destination URLs to your ‘Post Notes’ file. Write a compelling and search engine optimized post title/post headline. Write engaging and search engine optimized content targeting your ideal reader. Create a compelling ‘Call to Action’ (e.g. buy now, sign up for newsletter, download special report, visit product sales page, go to shop, etc.). Source/produce/gather/curate additional or related content (e.g. downloadable files, supporting articles or blog posts, quotations, references, technical specs, pricing details, etc.). Select 'Posts > All Posts' to review your Table of Posts. Make a note of these on your ‘Post Notes’ file. Repeat above process with other sections of your site (e.g. Pages, Products, FAQ, etc.). Organize, assemble and review all content elements required to create and publish your post (e.g. headline, text, images, links, files, etc.). Complete the above items and​​ tasks before moving to the section below. WordPress Classic Editor​​ (pre-version 5.0) – Adding content to posts using the ‘Classic’ editor is done via the ‘Visual’ and ‘Text’ tabs and formatting/menu buttons. Select 'Posts > Add New'. Add/Type/Paste in your post title. 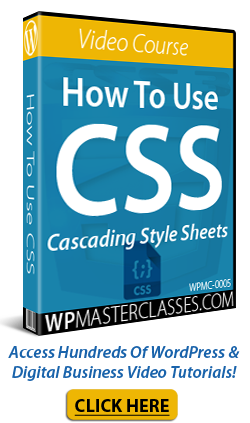 Typing, pasting, and formatting your content into the content area (Classic Editor). Images: Add alt tags, captions, links, etc. Save the post as a draft. Repeat this step at regular intervals until you're ready to publish. Optimize your post for users and search engines. Add a featured image (optional). Optimize post settings for search engines (if using SEO plugin). Allow/don’t allow pingbacks and trackbacks. Custom fields (these may have been added through plugins or your theme). Confirm or change post author. Save as a draft and preview your post. Continue editing your content until your post is ready for final review or​​ publishing. Accurate​​ – Does the title accurately reflect or indicate what the content is about? Concise​​ – Does the title say what it needs to say concisely and effectively? SEO​​ – Does the title contain your main keywords or keyword phrase? Comprehension​​ – Will your target audience understand what you​​ are trying to say? Content flow​​ – Does the content make sense from beginning to end? Call to action​​ – What action do you want readers to take after reading your post? Proof post title and content for spelling or grammatical errors, omissions, etc. Proof SEO descriptions, focus keywords, excerpts for social media posting, etc. Proof content hyperlinks. Make sure all hyperlinks are working correctly. Check that all shortcodes or scripts added to your content are working correctly. Check that the post slug is correct (especially if post title was changed after initial save). Review and/or configure additional Post Publishing settings (e.g. make post sticky, make post private, etc.) or leave default settings. Public​​ – Post will be visible to everyone. Sticky Post​​ - Specify whether to make post sticky or not. Sticky posts are pinned at the top of your blog page above more recent posts. Password-protected​​ - Protect content with a password of your choice. Only users with access to the password will be able to view the post. Private​​ – Post will only be visible to site administrators and editors. Save as draft​​ - A draft post is not visible to site visitors and registered members or users unless they are a site administrator. Set to ‘Pending Review’​​ - A post marked as 'Pending Review' is similar to a draft post but needs to be reviewed and approved for publication by a user with a minimum permission-level of Editor. Publish your post​​ - Published posts display to everyone unless they're set as 'Private' or 'Password-Protected'. Review​​ post and make any necessary corrections or adjustments. (Optional) – Ask someone else to check/review your post and provide feedback. Lead generation campaigns, lead magnets, etc. Note additional ways to improve your publishing process and your results. Does your business use WordPress? Do you or your staff need training on how to use your WordPress site more effectively? 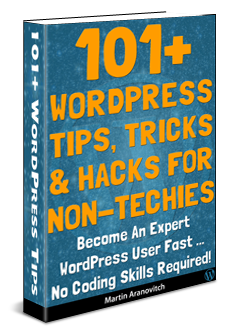 Use The Complete Step-By-Step WordPress User Manual as a WordPress learning or training manual, or as a handy reference guide for accessing the information you need quickly and easily. Originally published as WordPress User Manual: How To Create A Post In WordPress.